1 Sift flour and knead with egg yolks, cream, syrup, baking powder, salt and rum into a smooth, firm dough. Roll out thinly on a floured surface and slice into strips, about 3 x 12 cm (approximately 1 x 5 inches). 2 Tie a knot in each strip. Heat oil to 170°C (approximately 350°F). Fry dough in portions, about 2-3 minutes until golden brown. Remove and drain on paper towels. 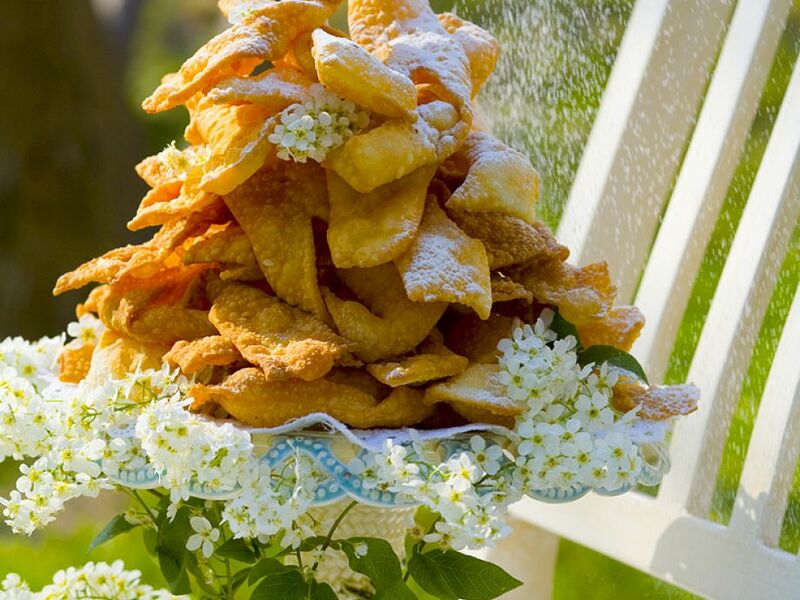 Serve dusted with powdered sugar.